Advanced Health always appreciates feedback from our valued patients. To date, we’re thrilled to have collected 47 reviews with an average rating of 4.98 out of 5 stars. 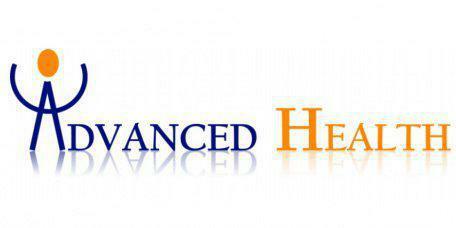 Please read what others are saying about Advanced Health below, and as always, we would love to collect your feedback. Dr. Bhandari is a wonderful, thoughtful and patient doctor. I would definitely recommend this practice. I had my initial visit with Dr. Bhandari today and I walked away satisfied that all my concerns were addressed and optimistic that my body will begin to heal in a short period of time. Her exam and instructions were very thorough. I was surprised that she even provided my with a couple of recipes that will work with my lifestyle. I look forward to working with her. Dr. Bhandari is very open, friendly and seems to hear what you are saying. I left with a feeling of confidence in her and an looking forward to seeing what changes there will be in my life. It's been a week since my first meeting with Dr. Bhandari and I do feel better. I'm interested in optimizing my health and she recommended a month long reset following a vegan diet. It's been easier that I imagined and gives me hope that I could lose the few extra pounds I've been unable to shed. The best discovery is the green smoothie Dr. Bhandari recommended -- it satisfies me so completely with all the healthy fats and fiber that I no longer crave sweets which has been a lifelong problem for me. I also appreciate the informative health related emails she sends. I'm very impressed so far and look forward to continuing to work with Dr. Bhandari. Early days but everything Dr Bhandari explained to me makes complete sense and I'm hoping to improve my health , fitness and loose weight with Dr Bhandari help and support. My appointment with Dr. Bhandari was excellent - she was friendly and outgoing, and she did a great job of personalizing her care and recommendations for me. It was great. I felt heard and understood. I appreciated that there was clear action items at the end of the session. I also like that the action items aren't too much and ones I can handle. I had been suffering from GERD for several years and was taking strong medications (Proton Pump Inhibitors). Those medicines have potentially harmful side effects and they did not even cure the problem. Dr. Bhandari was able to get me off those medicines. She goes to the root cause of the illness to treat it effectively. She has vast knowledge of both Western and Eastern systems of medicine and has a wholistic, integrative approach that seems to be the ideal combination because each system has something that the other does not have to offer. Another of her notable qualities is that I have never seen her rushed. She is a great and patient listener -- a very important quality and qualification in a physician. A week ago, I went back to her for help with getting rid of a skin problem that two dermatologists have not been able to cure in the past six months. I appreciated her thorough way of listening and making sure I would get all my questions answered. I also like a lot that she works with me on restoring balance and strength in my body through natural ways like lifestyle and diet changes and gentle ways to detoxify the body. Very caring, integrated functional medicine approach. Dr Bhandari is an attentive, caring, and diligent professional healer. Her personable and holistic approach in diagnosing and coming up with a customized treatment plan is like no other. Additionally, she always goes over and above to get you well and keep you well. Her responsiveness to any inquiries or worries, and professionalism in patient service is first rate. I cannot recommend her enough! She listened attentively to all my concerns and questions, and I felt very well cared for. I've been seeing Dr. Bhandari for 5 years now, and she has been wonderful every visit. She truly cares about your well being, takes the time to understand and listens to what you have to say. For every visit at her office, Dr. Bhandari educates you on what is happening, why it is happening, what steps and measures you can take to care of it, and methods to prevent the problem from occurring again. I will recommend Dr. Bhandari to anyone who wants a doctor to care, who understands, and loves what they do. First of all, Dr. Bhandari has the nicest and friendliest personalities out of all the MD's I've seen so far which allows someone such as myself, somewhat shy and sensitive, to feel comfortable to open up and be more honest talking about myself and my concerns. Second, her approach to explaining her recommendations are quite thorough and detailed and yet explained with such simplicity that it was easy to understand. Finally, the combination of her personality and her approach in helping me really gave me a solid reason for changing my present unhealthy habits to become a happier and healthier human being! She's wonderful!! Dr. Bhandari was extremely easy to talk to and made me feel very comfortable. Dr. Bhandari spent a lot of time explaining things to me in a way that made sense to me and also made me feel like she is really invested in my health and well being. Her recommendations for improvement were so thoroughly detailed that I left the office feeling optimistic about living a pain free life after dealing with chronic discomfort for many years. Dr. Bhandari is amazing. After seeing multiple specialists (simultaneously) for various ailments, and being prescribed over a dozen pills a day, Dr. Bhandari was a welcome relief. Her approach of understanding my lifestyle/routine, and suggesting a treatment plan on fixing the problem (using both Eastern and Western medicines), rather than over-medicating was a true blessing. I feel I have received a new boost of energy and hope thanks to her prescribed regimen of lifestyle changes and herbs. Highly recommended!!! Dr.Bhandari really takes her time to go over lab results and when making lifestyle changes or new recommendations for a better health. I so appreciate being listened to and always welcome her suggestions. Dr. Bhandari is fantastic. She was extremely thorough in obtaining all of my background information and my personal health goals. She looks to work from the preventative side first, and I truly believe I will obtain better health working with her. I would highly recommend her to anyone trying to get and stay healthy! I chose to drive from Danville to San Francisco to see Dr. Bhandari because I was looking for a Dr. that would work with me to make sure my children are growing and thriving on a mostly plant based diet. I could not have been more thrilled after our appointment. She took the time to learn about their daily lives and talked with all of us about what we are doing that is good and what we can be doing better. She is helping us live a healthy balanced lifestyle that will not only benefit my children but the whole family.